Wow, quite and honor to be recognized by our client L3 SPD Electrical Systems and Power Distribution Systems. A group from this Philadelphia based division of L3 arrived on our doorstep on May 1st with a full lunch for the team at FBF Inc. 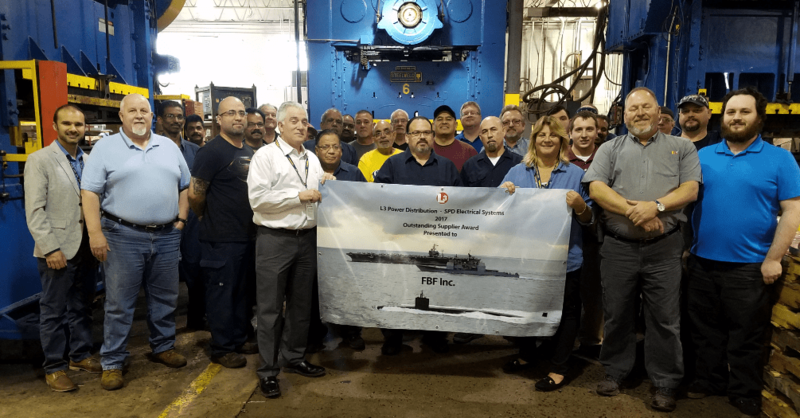 This is the fourth year in a row that we received the Top Supplier Award from this US Navy Contractor. They told us that only 2 % of their suppliers receive this award…so we must be doing something right. Thank you gentlemen! We manufacture over 100 different parts that show up on military vessels that protect our oceans for us and our allies around the world. 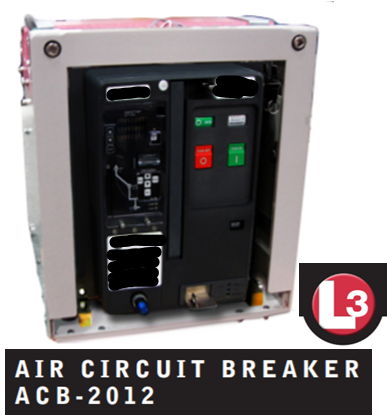 The team at L3 SPD manufacture and install instrumentation such as these circuit breakers. 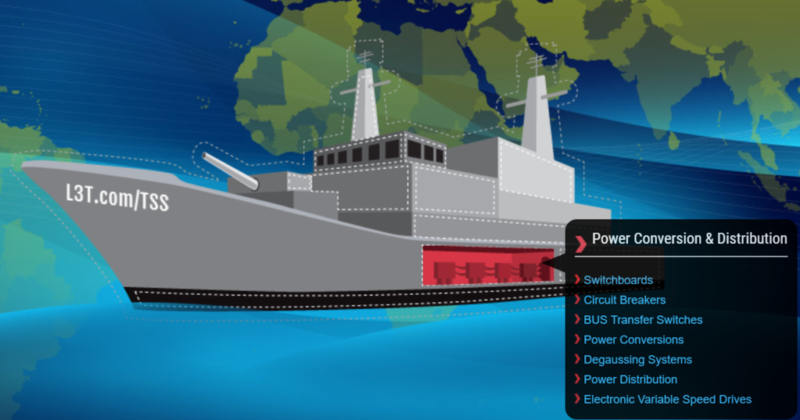 They help control navigational systems, propulsion systems, machinery control, communications and weapons platforms. The specifications we get are always very well designed, require mil-spec materials and have high quality standards. 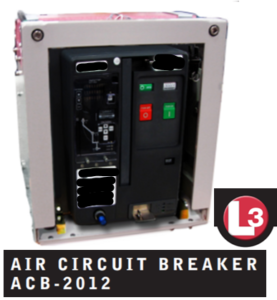 Quality testing is tightly controlled by our internal quality testers and the team at L3. This unit above is just one example of an instrument we manufacture metal parts for. You will never get any of the real details out of us, so don’t ask. Loose Lips Sink Ships and one of the reasons why we earned the recognition above. We hold true to our promise of design confidentiality. Big ships need big parts and smaller parts too. The team we work with at L3 have been involved with the refurbishment and new construction of so many different US Navy vessels over the years. If you click the picture above, it will bring you to their interactive model for their Total Ship Solutions. You will see that they are fitting our parts from bow to stern. Chances are good that the metal parts we have made over the years is on at least 30 US Navy vessels. We are proud of that. On March 1, 2014, the USS Somerset was commissioned right here is Philadelphia and was named for the residents of Somerset County Pennsylvania, in honor of the passengers who died on United Airlines Flight 93. FBF Inc was very busy in the preceding years fabricating metal parts for her. A few years earlier we were making metal parts for a ship known only to us as LPD 21. We understand today that Governor George Pataki of New York negotiated to have 7.5 tons of steel recovered from the North Tower of the World Trade Center in NYC to be used in the hull of this new vessel. Now we didn’t do any fabricating for the hull but several of the parts encased within her have our stamp on them. It was VERY cool to be part of the team that made The USS New York. Here is a quick video about the ship.